These are now all generally 18mm thick, and between 620mm and 720mm wide and between 2620 and 2800mm long. Please check the specific colour in the list above to confirm the sizes. We may occasionally have to change sizes so if sizing is critical, its always worth calling to check. End panels are just panels at the end of the day. 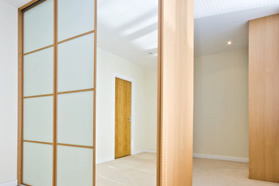 They can be used for anything, including making a top to your wardrobe if you are not going to the ceiling, completely lining the floor of your wardrobe, creating a pelmet or infill panel above your doors if they dont reach to the ceiling, and are often used for creating shelving for the interior. These are simply thinner strips of the same material as the end panels. Again 18mm thick, by 90mm to 135mm wide, and again 2620mm to 2800mm long depending on colour. Normally used to frame the opening just around the doors in the form of wall or floor liners. Generally only used by carpenters or advanced DIYers. A bigger alternative to wall liners/strike plates. Used on the walls (but not exclusively), scribe and returns are basically 2 fillets fixed at 90 degrees to each other with cam and dowel fixings or fixing blocks. 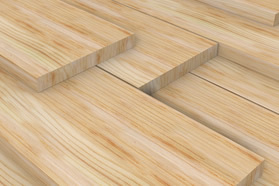 They provide enough material if you need to ‘scribe’ around obstacles such as coving and skirtings. We can provide intermediate or even bespoke sized panels in the S700 (and S9) range of colours. Contact us for these. As you can see from our photography, we also like to use timber, MDF or stud wall, painted to match skirting’s or wall décor, so if a panel colour is not available, then we recommend that you use these that can then be painted to match the decor of your room. If in doubt, please call us.